Nearly 70 people will become U.S. citizens during a naturalization ceremony Monday, Sept. 17, at 11 a.m. in the Law Center McQuade Auditorium on UT’s Main Campus. 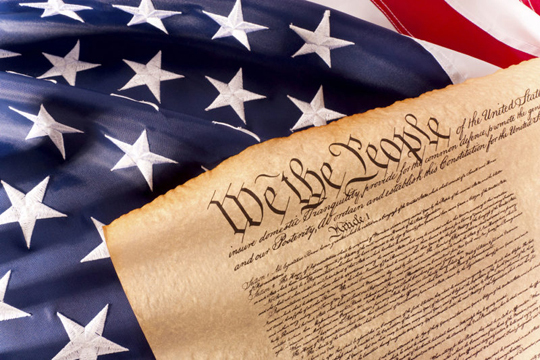 Judge Jack Zouhary of the U.S. District Court for the Northern District of Ohio will preside over the ceremony, which will celebrate Constitution Day at the University. Welcome remarks will be given by UT President Sharon L. Gaber and D. Benjamin Barros, dean of the UT College of Law. Billy Jeffers, president of the Student Bar Association, will open the court, while Ariel Berger, vice president of the association, will close it. Andrew Williams, president of Student Government, will read the Pledge of Allegiance. Guest speakers will be Inma Zanoguera, a graduate student and 2015 UT alumna and former women’s basketball star who won the Sahara Marathon earlier this year, and Benjamin Syroka, a UT law student who clerked for Judge Zouhary. The UT Concert Chorale will perform “The Star-Spangled Banner” under the direction of Dr. Brad Pierson, assistant professor and director of choral activities in the UT Music Department. The free, public event is sponsored by the Office of Government Relations and the Center for International Studies and Programs. For more information on the naturalization ceremony, contact Lisa Byers, executive assistant in the Office of Government Relations, at lisa.byers@utoledo.edu. This entry was posted on Thursday, September 13th, 2018 at 3:18 am and is filed under Alumni, Events, Law, News, UToday .